Combine the cashews, maple syrup, and vanilla extract in a large mixing bowl and stir until the cashews are coated with the syrup. Spread the cashews in an even layer on the lined baking sheet and roast for 10 minutes or until they've begun to turn golden brown. Place the slightly cooled cashews in the bowl of a food processor along with the sea salt. Process the nuts for about 10 minutes, scraping down the sides as necessary. 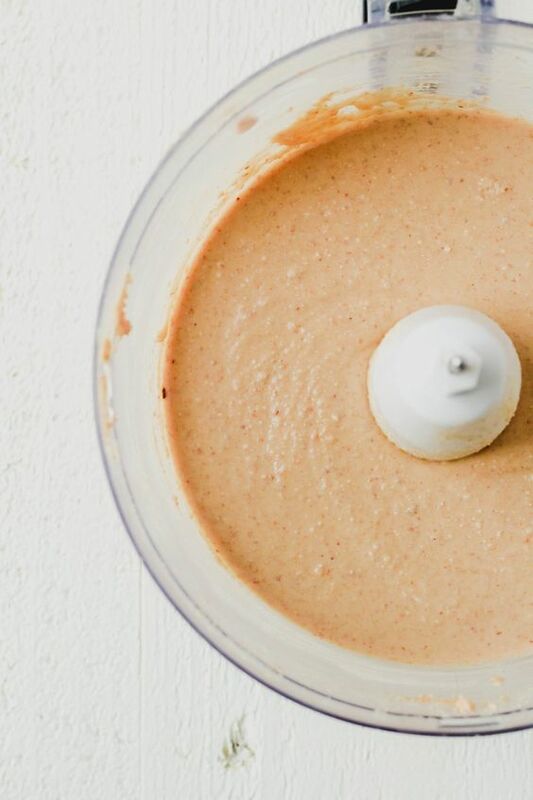 Once the cashews have turned into a slightly creamy consistency add in the coconut oil and process the cashew butter until it's smooth and creamy. Tranfer the cashew butter into a jar and store in the fridge.